The Saguaro is an everlasting symbol of the desert and our great state of Arizona. We are blessed to be one of only two states (including Southeastern California) to house these plants of mythical fame. This article is dedicated to them. 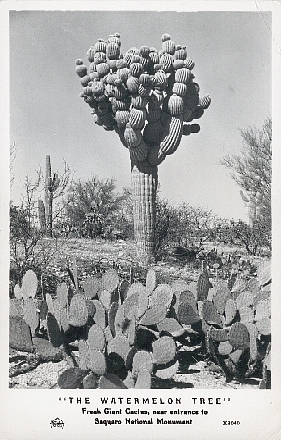 Just like other plants or animals Saguaros are subject to strange mutatuations that create some incredible plants. The reasons for these deformities are unknown but they do not seem to adversly affect the health or life span of the plant. One mutation is called Cristate and it causes the Cacti to grow into fan shapes. -The Saguaro is the largest cactus in the US. -They can live for 150 to 200 years or more! -The tap root of an average saguaro extends only about 2 feet in the ground. The Saguaro’s weight is supported primarily by a spider web of very thin roots that fan out 360 degrees. 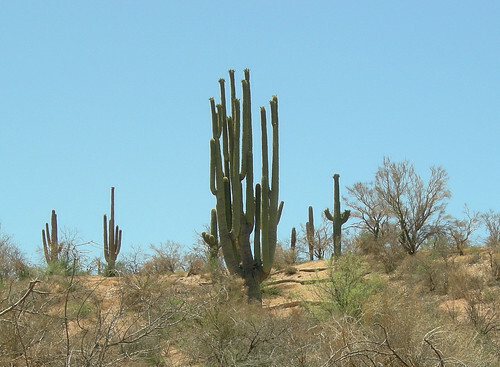 -On average it takes 40 to 50 years before a Saguaro will reach 10 feet in height. -That is also how long it takes before a Saguaro will begin to flower. -In 75 to 100 years a Saguaro will start to grow arms. -Only several seasons of mild weather and wetter than normal conditions will allow new Saguaros to germinate. This explains why you rarely see young Saguaros in the desert. -They require a nurse plant to shelter them from direct sun as they grow. Eventually the Saguaro will rob the nurse plant of moisture causing it to die off. -When Saguaro seeds first germinate they have leaves. 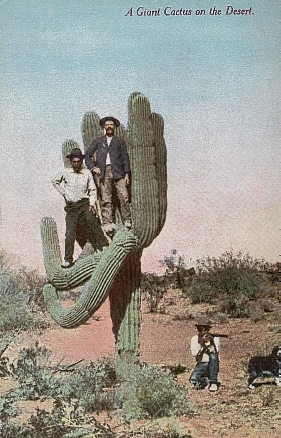 Gallery | This entry was posted in Cool Things and tagged cactus, saguaro. Bookmark the permalink. 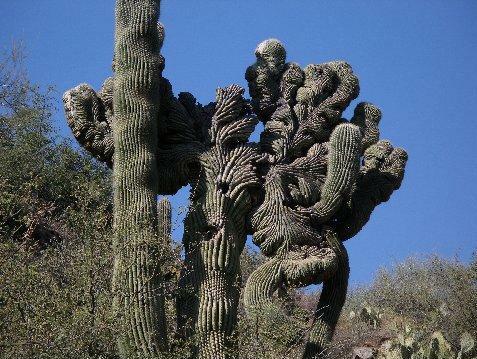 Its actually only 60 years before a saguaro grows its first arm. Awesome things here. I am very glad to look your post. Thanks so much and I’m taking a look forward to touch you.